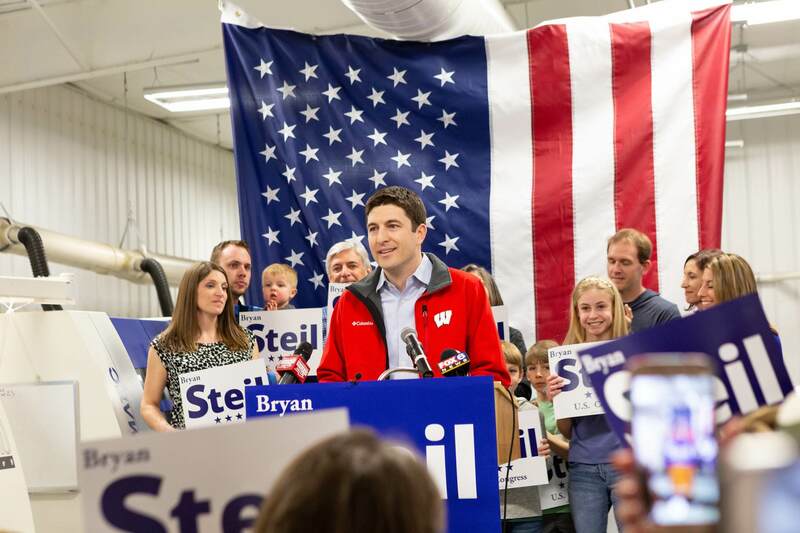 Help fund our grassroots effort to get Bryan Steil elected to Congress. Donate to Bryan's campaign today. I am a U.S. citizen or lawfully admitted permanent resident, I am not a federal contractor, and this contribution will not be reimbursed by another person. Contributions are not tax deductible as charitable contributions for federal income tax purposes. Federal law requires us to obtain and report the name, mailing address, occupation and name of employer for each individual whose contributions aggregate in excess of $200 per election cycle. Contributions by corporations, foreign nationals (non-green card holders), labor unions, national banks, federal government contractors, and minors under the age of 18 are prohibited. Contributions are subject to federal limits and source prohibitions. Federal law limits individual contributions to $2,800 per election. For married couples, each person may contribute $2,780 per election. The primary and general elections are considered separate elections.